Each tour starts in the Porter’s lodge which is at the entrance to the college. From there you can navigate through the college and its grounds by clicking on the arrow button . In the top left corner of the screen you’ll see a menu icon with a list of all the rooms in the tour – you can navigate directly to them if you choose. There’s also a map icon which will help you get an overview of the college’s floorplan and can help you find your bearings. 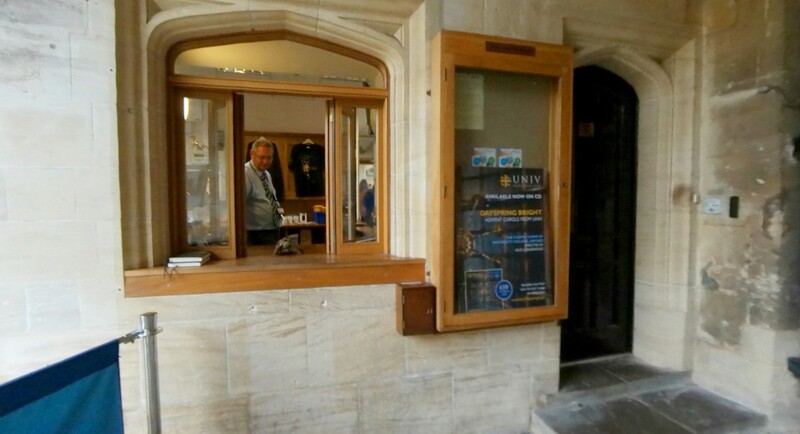 Each tour typically shows the Library, Chapel, gardens or courtyard, a student’s room, the dining hall, and the junior common room plus a few other extras. Hopefully this information will give you a little flavour of each college. For more general information about colleges please see here.